Discussion in 'Android Tablet News' started by dandroid, Jan 21, 2010. In a move that can only be described as caving in to peer pressure, Viewsonic has become the latest to prop up an Android-powered and keyboard-free device that probably won't revolutionize the way you idly surf the web from your couch. 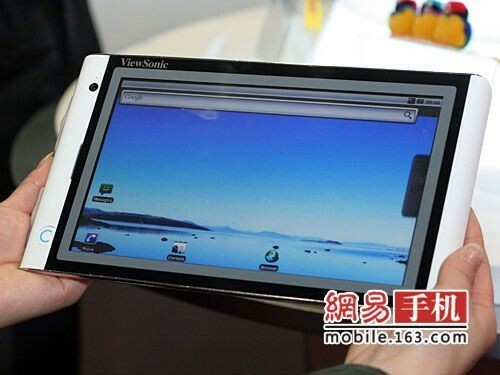 Called the VTablet 101 it rocks a 1GHz ARM Cortex-A9 processor and NVIDIA Tegra graphics powering an 8.9-inch, 1024 x 800 touchscreen display. There's 4GB of storage, WiFi, and Bluetooth, all in a reasonably attractive 3,000 Yuan ($440) price. Availability? Whenever hazing is over -- assuming it survives.